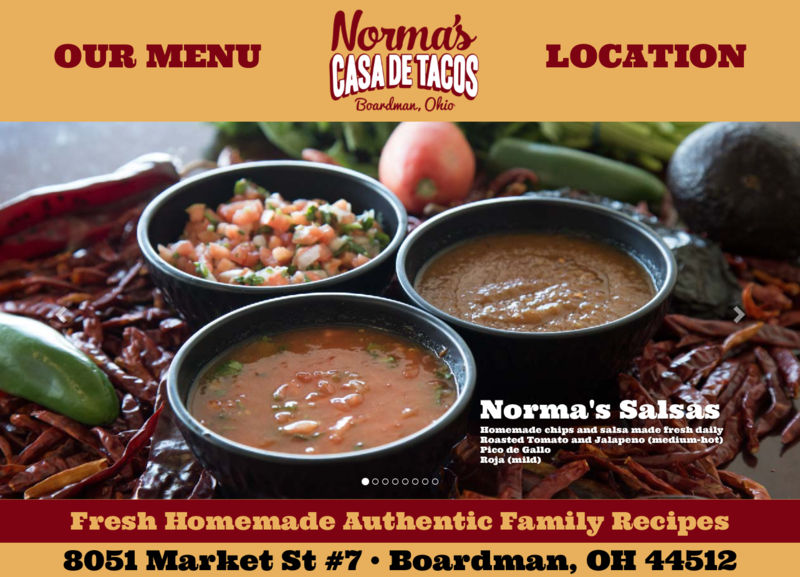 Norma’s Casa de Tacos has been serving authentic Mexican food for many years at their location in Boardman, Ohio. WebberSites worked with owners Jerry and Norma to develop a new logo, printed branding, outdoor signage, food photography, website design and development. The final product is something that wraps their flavor and down to earth atmosphere into clear presentation across all platforms, from table to website. ©2019 WebberSites Inc. All Rights Reserved.